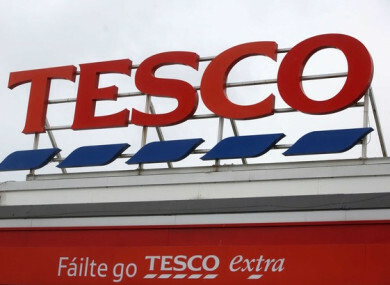 TESCO IRELAND HAS come under fire from a State agency over its treatment of a security man after he was racially abused by a Tesco store manager. This follows the Employment Appeals Tribunal (EAT) awarding Nicolas Alayi €24,000 after finding that he was constructively dismissed by Tesco Ireland from one of its Limerick city stores under the Unfair Dismissals Act. In a hard-hitting determination, the EAT found the lack of action by Tesco Ireland over the 23 May 2014 incident between Alayi and the Tesco store manager as ‘inexplicable”. The EAT states that “even more extraordinary” was Tesco Ireland’s “inappropriate and unfair” proposal that Alayi “move to a different store, rather than moving the manager to a different store”. The EAT also found that Tesco Ireland took no action to ensure that the store manager apologise to Alayi. Tesco is an equal opportunities employer and we promote cultural diversity and inclusiveness. It is Tesco Ireland’s policy that every colleague is treated in an equal and respectful manner in an environment that supports dignity, productivity and self-esteem. We are currently reviewing the EAT ruling in detail. The flashpoint in the case arose when a Tesco store manager, referred to as DMcE in the EAT report, is alleged to have told Alayi, “do you think a black will have access to the high value speciality cigarette room” just after 9am on 23 May 2014. Alayi – who had worked for Tesco since 2007 – said that DMcE was verbally shouting aggressively at him not to let anyone near the cigarette room. The EAT said that DMcE subjected Alayi “to an unprovoked and aggressive verbal outburst”. Alayi lodged a grievance concerning DMcE’s treatment of him and during the investigation, DMcE admitted to including the phase “would you let a black stranger into that room” when addressing Alayi. The group’s personnel manager, AM, carried out an investigation and found that DMcE did make “inappropriate” comments. However, AM could not substantiate if these comments were made with racial intent. She recommended that DMcE apologise to Alayi. Alayi was unhappy with these findings and appealed his grievance internally. He attended an appeal hearing on 10 October 2014. A store manager with Tesco Ireland, SD, working in another store carried out the appeal and recommended that DMcE apologise to Alayi for making the comment. SD found that the comment was inappropriate but not racially based and upheld the original grievance lodged Alayi. At an EAT hearing in Limerick, Alayi said that DMcE had offended him when he had done nothing wrong. Alayi said that Tesco had offered him an alternative role in another store. Alayi said he did not want to transfer to another store as he enjoyed working and wished to remain working in his current place of business. He also felt it unfair that he was recommended to move location and that DMcE should have had to move location instead. Alayi felt he could not return to work in that environment while DMcE continued to work in the store. If Tesco Ireland moved DMcE to another store Alayi would have returned to work following an apology from DMcE. Alayi was extremely upset and became ill as a result of Tesco Ireland’s treatment of him, such that he sought medical attention. He said that DMcE never gave him an apology, which had been twice recommended by Tesco Ireland. During Alayi’s sickness he had to attend counselling and was prescribed anti-depressants. Alayi had not experienced these types of symptoms previously, and believes his illness was a result of the respondent’s conduct toward him. Alayi resigned from his job in January 2015. A newly appointed personnel manager at the store, DMcD told Alayi that if he returned to work she would personally see that he would be looked after and that he would feel safe in the workplace. She told him that he could return to work on shorter hours and support mechanisms would be in place in the store. In its determination, the EAT says it finds the lack of action by Tesco Ireland over the May 24 2014 incident as ‘inexplicable”. The EAT state that “even more extraordinary” is Tesco Ireland’s “inappropriate and unfair” proposal that Alayi “move to a different store, rather than moving the manager to a different store”. It adds that furthermore, no effort was made to facilitate Alayi’s return to work, in circumstances where he could continue to report to this same manager. The Tribunal found that the failure by Tesco Ireland to follow through on its own finding of an inappropriate comment, and the manager’s and Tesco Ireland’s subsequent conduct, justifies Alayi in believing that he had been constructively dismissed. The EAT also accepted Alayi’s evidence that his unavailability to find other work is attributed to the conduct and actions of Tesco Ireland. Nicolas is a very honourable and decent individual and he was extremely upset and distressed over what the store manager said to him but also his subsequent treatment by Tesco Ireland. He said: “Nicolas is a very genuine person and a simple apology by the store manager at the time would have sorted this out. Nicolas believes that referring to a person’s skin colour is completely unacceptable in any human interaction. Minihane said that Nicolas was very disappointed to have had to resign from his position because of Tesco Ireland’s inaction over the incident as he very much enjoyed his job and working at the store. Minihane said that Nicolas is glad that the EAT found that he was racially abused in the comment made by his manager. Email “Security man awarded €24,000 after being racially abused by Tesco store manager”. Feedback on “Security man awarded €24,000 after being racially abused by Tesco store manager”.